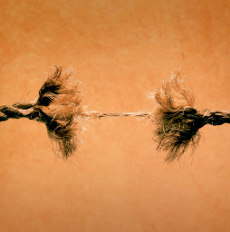 Home > Blog > 2012 > May > Is a Surgical Divorce Right for Me? There are as many different options for a divorce in Pasadena as there are types of married couples. One of the more recent buzzwords of interest to divorcing couples is the "surgical divorce" -- a term used to describe a fast divorce where the couple wants no contact with each other. They are not interested in mediation, nor do they want to have a long courtroom battle with their ex. They don't want to drag each others reputations through the mud or create necessary drama with mutual friends. They simply want to legally end their marriage as quickly as possible and be free to go about their separate lives. A surgical divorce is most often appropriate when the couple has grown apart and mutually agrees that it is time to end the marriage. They are able to think things through rationally, without letting minor disputes turn into major battles. Essentially, a surgical divorce is like the process of removing a cancerous tumor. It is painful, but everyone involved realizes it's necessary. The attorney handling a surgical divorce will explain all of the legal options for his or her client before drawing up the necessary papers. When it's time to go to court, the client may choose to attend the meeting or allow the attorney to attend alone. If you're interested in a surgical divorce, remember that both spouses still need to have separate representation. It's considered unethical for the same divorce lawyer to represent both parties due to the potential for a conflict of interest. The term "surgical divorce" is not a legal description, but it is helpful to let your attorney know if this is the type of divorce you are hoping for. Every Pasadena divorce lawyer has different skills and areas of expertise. You don't need to hire an experienced litigator or someone who specializes in mediation if you want to have a surgical divorce. Making your expectations clear as you're consulting with prospective attorneys will help you find the best possible legal representation for your case.